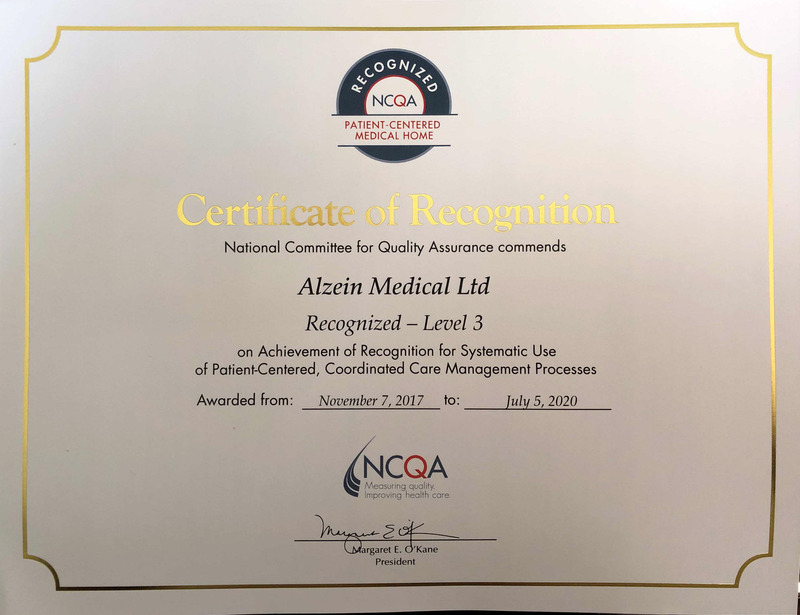 Dr. Hassan Alzein and the entire staff of Alzein Pediatric Associates is proud to announce that the practice has received a Level 3 Patient-Centered Medical Home (PCMH) Accreditation from the National Committee for Quality Assurance (NQCA). NCQA is a non-profit organization founded in 1990 with the goal of improving the quality of health care. An NCQA seal is evidence that the practice has passed a rigorous and thorough review, including management techniques, high quality health care and outstanding customer service. Accreditation by the NCQA requires meeting more than 60 demanding standards in over 40 areas. 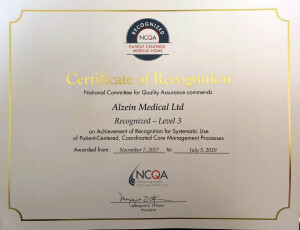 Meeting a Level 3 Accreditation means that Alzein Pediatrics has made a strong and significant commitment to improving health care techniques while lowering costs, resulting in healthier and more satisfied patients. As a PCMH, Alzein Pediatrics patients have been shown to receive better care when they need it and have fewer hospitalizations and emergency room visits. Alzein Pediatrics medical and office professionals are also shown to be happier, and communicate that positive attitude to their patients. Does my baby need a head-shaping helmet? A Sports Physical is mandatory when your child wants to be on the team! ACHOO! Does your child have allergies? Why does my child have asthma when there’s no pollen? ?